Channel vintage kitchen style with these classic baking tools. Looking to add some throwback flare to your kitchen? Channel your inner Martha Stewart and bake up a storm with this retro cookware. From classic enamelware canisters perfect for storing your dry goods to a pearly pink jadeite cake stand ready to display your confections, these vintage-inspired items will never go out of style. Check out our favorites below. 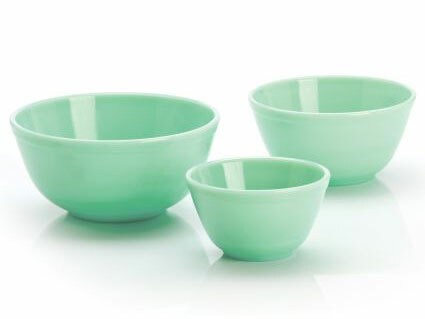 These iconic minty green jadeite bowls (also known as milk glass) are perfect for mixing up cake batters or cookie dough, but are also pretty enough to take right to the table. Jell-O salad, anyone? Enamelware was the first mass-produced cookware in the United States. It was designed to be lightweight, easy to clean and less breakable than china. 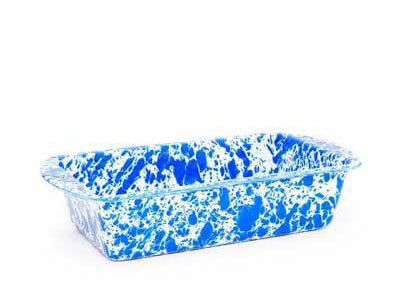 We love this iconic speckled loaf pan because food easily comes off of the porcelain-coated steel and it will add the perfect touch of retro cool to your brunch spread. Use this standard 9-by-5-inch pan for banana bread, pound cake or this old school ice box cake with lemon curd. 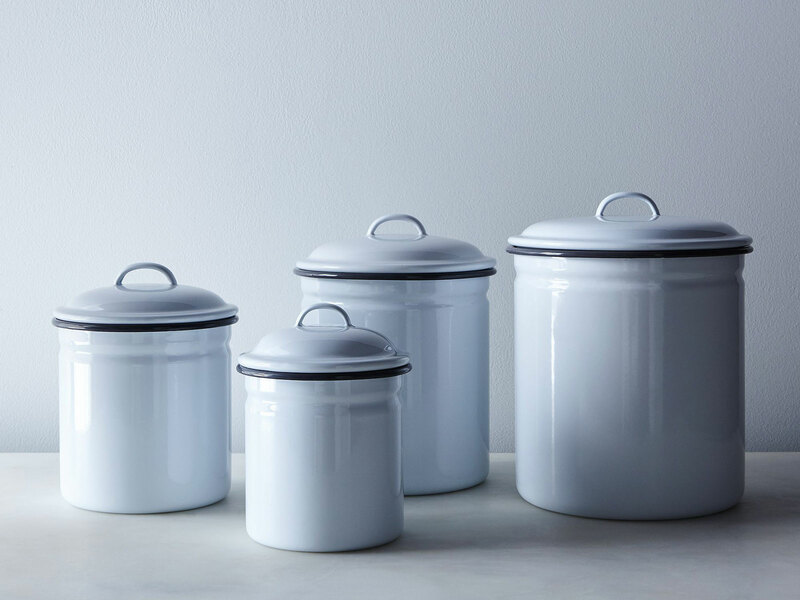 Lightweight, stackable and dishwasher-safe, these metal enamelware cannisters from Falcon are perfect for storing dry goods. Plus, their classic white and grey exterior will look great on any kitchen countertop. 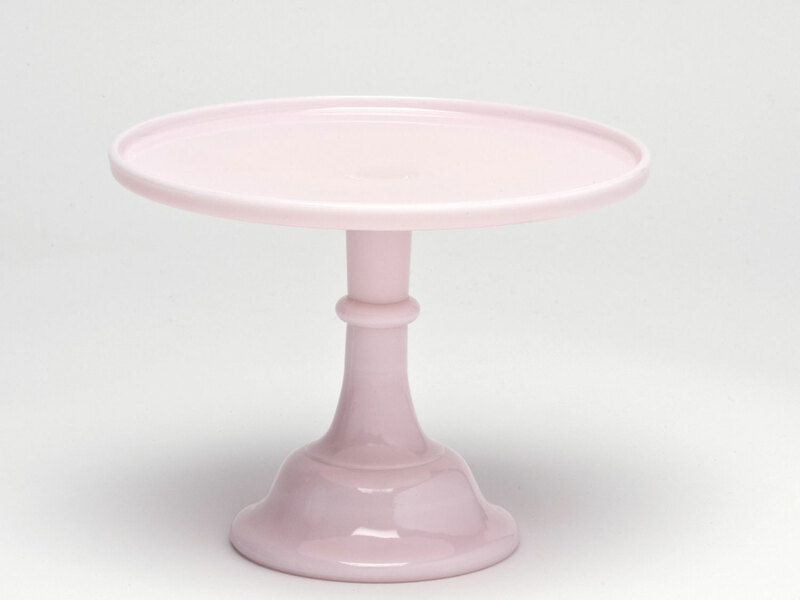 This blush pink cake stand adds the perfect touch of whimsy to any kitchen. It is playful, without being precious. Use it to add some height to your dessert table and draw everyone’s eye to your perfectly frosted cupcakes or gooey pineapple upside down cake. 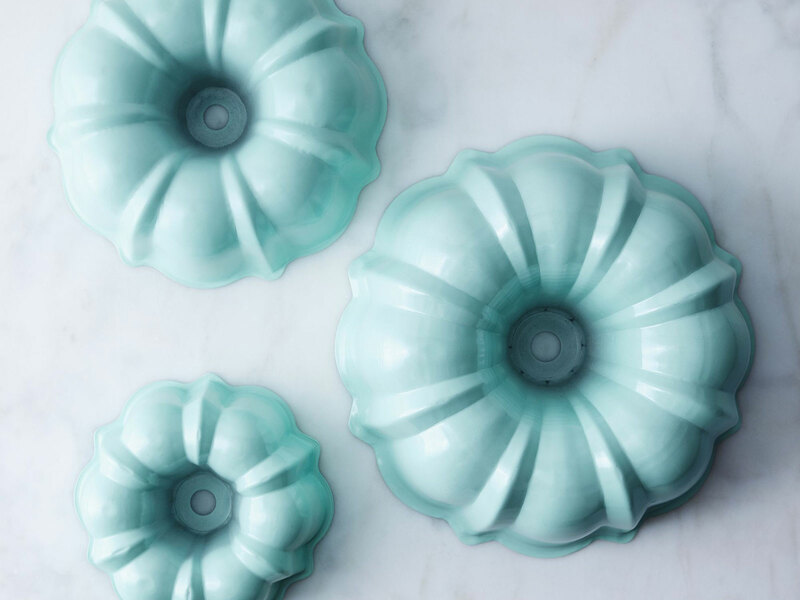 These cool mint-colored bundt pans from Nordic Ware are perfect for everyday baking and when you want to “wow” your guests. (See also: The Best Bundt Pans). The three different sizes give you the option to make a cake appropriate for your group size or you can bake all three sizes and stack them for a truly centerpiece-worthy dessert. Try out these pans with this glazed Coconut Chiffon Bundt Cake with Coconut Frosting that is pure Americana. 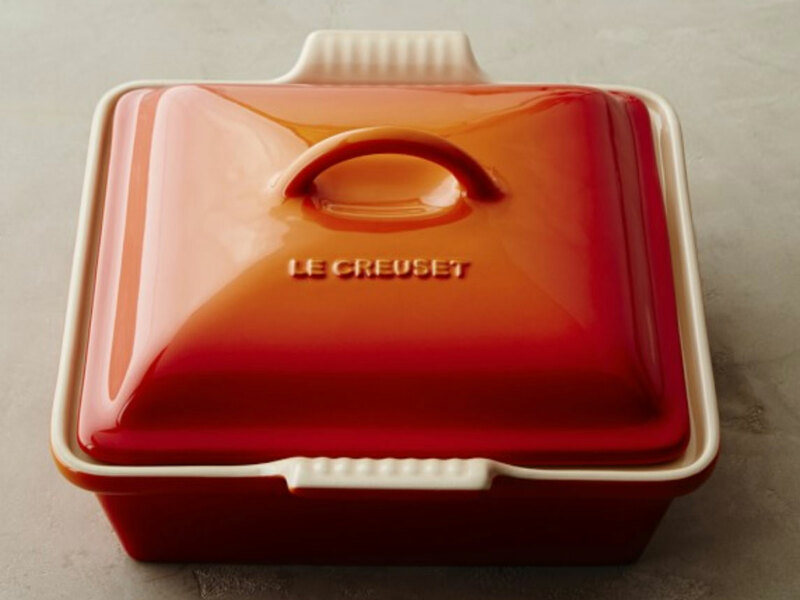 Le Creuset’s covered baker in “flame” is the quintessential casserole dish. It screams 1960’s hot dish. Use it to make an easier-than-pie pandowdy with peak summer fruit or reserved berries you have stashed in your freezer. 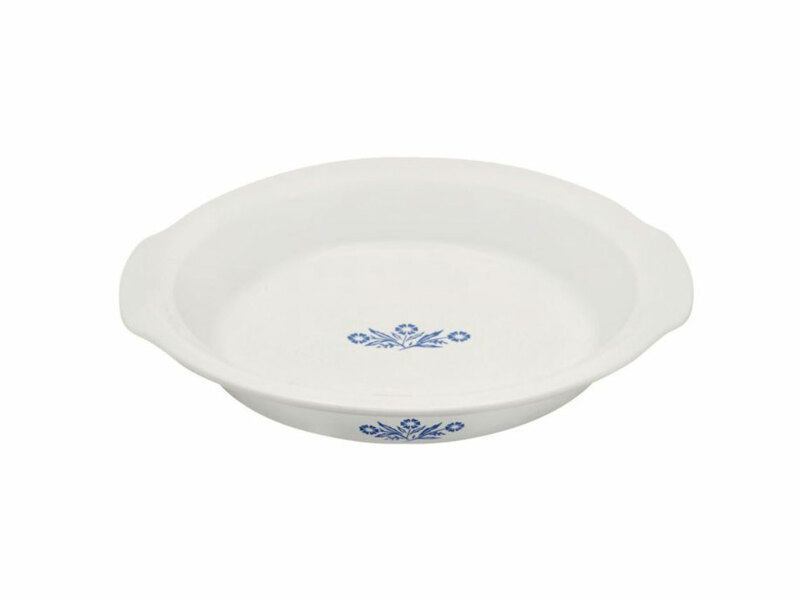 We love this pie plate from CorningWare with the traditional cornflower pattern. They just re-released this design in celebration of their 60th anniversary and it has us nostalgic for Grandma’s cooking. Use this pie plate to make our mile-high Lemon Meringue Pie. 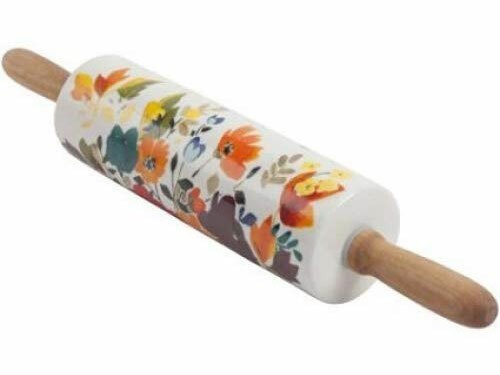 Ceramic rolling pins have a fun vintage vibe that adds a pop of color and texture to any kitchen. Plus, the ceramic surface is ideal for rolling out doughs because it keeps the butter nice and cool. Test this rolling pin out with these classic Linzer Cookies with Spiced Jam. 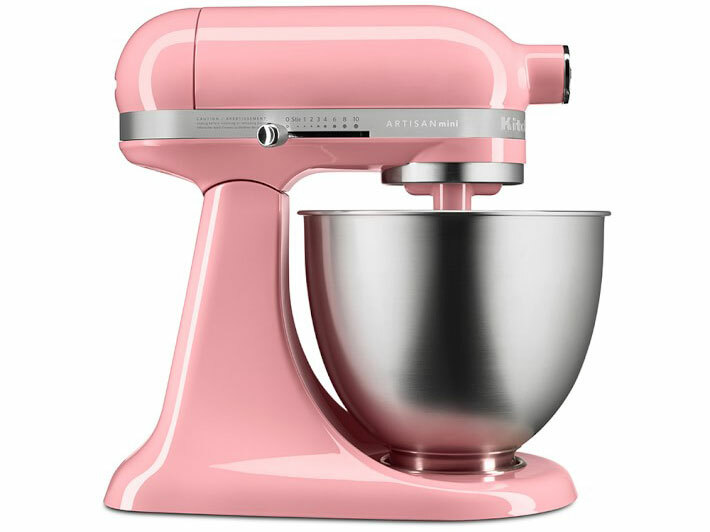 This mini KitchenAid stand mixer will be a fresh accent piece in any kitchen with its cheeky pink color. Also, it’s 20% smaller than the classic size, so it won’t hog your counter space.